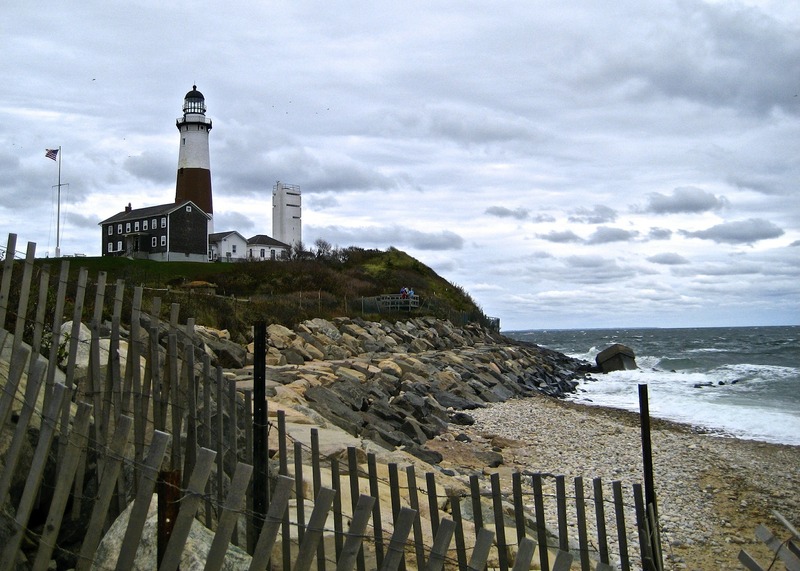 Montauk Point is located at the edge of the South Fork. The South Fork, the eastrn portion of the South Shore of Long Island, encompasses the towns of East Hampton and most of Southampton, and begins where Long Island splits at the mouth of the Peconic River, which the Native Americans called Paumanok. The South Fork terminates at Montauk Point State Park, which is both the easternmost point in Suffolk County, as well as New York State. The South Fork is surrounded by the Atlantic Ocean, the Peconic Bay and Gardiners Bay. One of the most popular attractions on the South Fork is the Hamptons. While this area is predominantly inhabited in the summer by the super wealthy and world-famous celebrities, there are year-round residents who hail from all levels of social strata. Both the Hampton Jitney bus line and the Long Island Rail Road provide transportation services throughout the South Fork of Long Island.